Kommando recently carried out a PR stunt for holiday operators, As You Like It, helping to gain exposure for the brand and their epic & original holiday experiences for young groups. Kommando were tasked with creating a promotion which would be seen as doing something 'a little bit different whilst having fun'. The promotion reflected As You Like It’s image of a cool, rebellious take on quality products. The stunt had a great hook for press yet tied in with the As You Like It promotion, gaining brand exposure as well providing an opportunity to interact with the public. Whilst other media has suffered in the economic downturn, Air Shows are going from strength to strength. 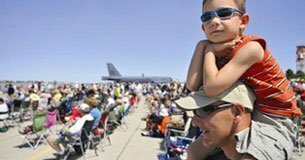 Our research explains why Air Shows are the perfect experiential media channel - no other events can deliver the volume of audience. Whisky brand, Talisker, have been experimenting with Experiential Marketing. 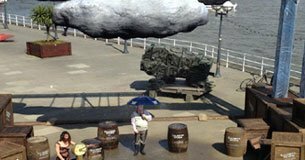 Their latest stunt claims to be the “world’s first interactive and controllable storm” and it’s been created to celebrate the launch of their boldest whisky to date, Talisker Storm.